dance.net - Beautiful Purple Dress MacPherson Premier Outfit includes 2 sets of hoes (10244810) - Read article: Ballet, Jazz, Modern, Hip Hop, Tap, Irish, Disco, Twirling, Cheer: Photos, Chat, Games, Jobs, Events! 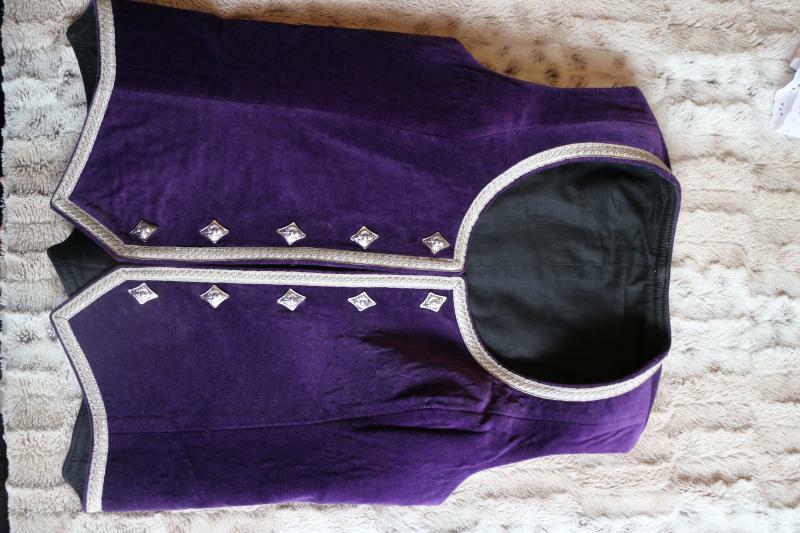 Beautiful Dress Purple MacPherson Premium outfit for sale. Willing to sell as a package of kilt/Vest/Shirt and two pairs of hose for Ã�Â£400 pounds UK (A bargain as it cost over Ã�Â£800 new! 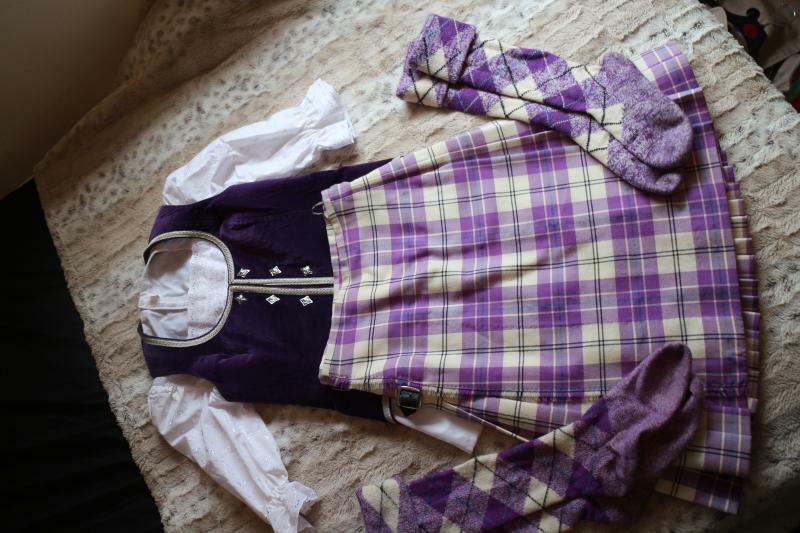 ), or individual pieces as follows: Kilt Ã�Â£300, Vest Ã�Â£75, Shirt Ã�Â£10, Hose Ã�Â£50 per pair. Width at waist = 24-26" plus a growth pleat we haven't explored. SOCKS: Both pairs are in really good shape - other than the normal felting on the feet and the lighter purple have slight bobbling, they have no holes or wear on them. They will definitely last through another dancer wearing them . Foot length (toe to mid heel)=9"
Leg length (mid heel to turned down cuff) =15"
Leg length (mid heel to turned down cuff) = 14"
Happy to answer any questions, my daughter wore this to 2 competitions before having to give up dancing due to a let injury.